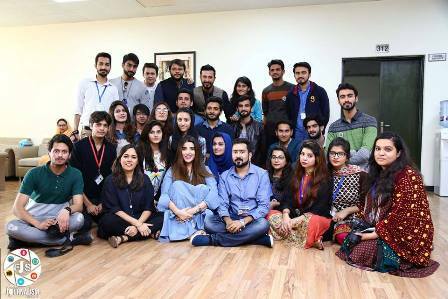 Forman Journalism Society (FJS) of the Mass Communication department organized a J-Talk session with the cast of the Pakistani film Dobara Phir Se on Friday 18 November 2016. 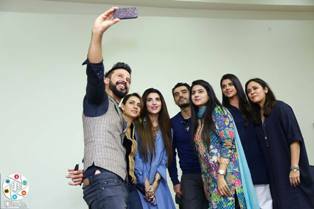 It was a jam-packed session as some renowned names of the Pakistani entertainment industry which present at the event including Hareem Farooq, Adeel Hussain, Tooba Siddiqui, Sanam Saeed and Ali Kazmi. 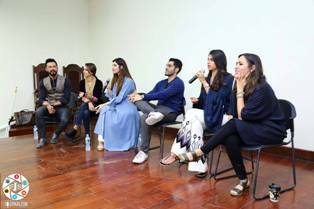 They shared their experiences while working on the very project and the expectations they had from the romantic drama film set to hit cinemas nationwide on November 25. 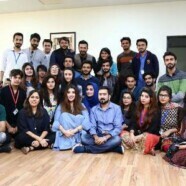 Movie Director, Mehreen Jabbar also accompanied her cast as she shared her take on the movie and how it would be different from the other productions she introduced in the past.